This Friday and Saturday I'll be attending the Penn State coaches clinic. The trip will be highlighted by an address from Joe Paterno on Friday evening and then a chance to watch Penn State's intrasquad scrimmage on Saturday afternoon. If I get close enough to Coach Paterno to shake his hand, I won't. 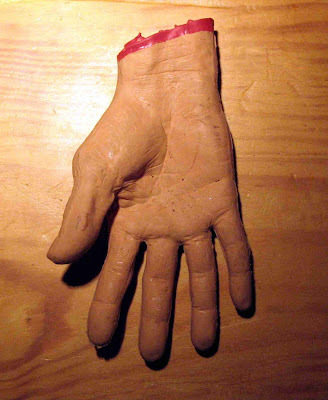 It would end up like one of those Halloween jokes where his hand comes off and I stand there petrified. And he'd be like, "Oh, I hate it when that happens," but he wouldn't be kidding. And then he'd beat me senseless. I'm afraid of 82-year-old men. Don't judge me. Cory McCartney lists his top ten players primed for breakout seasons in 2009. One of those players is Brandon Minor. I've been saying since the spring of 2008 that Minor has all the makings of an excellent running back. Minor was rated as the #1 fullback in the country coming out of high school and had a torn ACL, so I think it's taken him a while to find his groove as a primary ballcarrier. But at this point, he seems to have hit his stride. Minor had a wrist injury at the beginning of the 2008 season and thus suffered horrendous fumbling issues that reduced his playing time last season. But as the article points out, he had 447 yards and 7 TD's in the last five games. As the offensive line continues to adjust to Rodriguez's zone blocking schemes - and if Michigan's starting quarterback in 2009 can pose more of a running threat than Threet and Sheridan last year - I think Minor's production will continue to soar. If Minor can stay mostly healthy for his senior season (every player suffers bumps and bruises), I think he's in line for 1,200+ yards and 12 TD's or so. Meanwhile, McCartney's article lists Ryan Mallett as a breakout player for 2009 as well. Mallett transferred to Arkansas after Rodriguez got hired in December 2007. I don't like it when players transfer away from Michigan, but I usually don't hold a grudge against them. I hope Toney Clemons, Avery Horn, Zion Babb, Steve Threet, etc. find stardom elsewhere in college football. I do have a problem with Justin Boren transferring to OSU, but that situation was ridiculous. 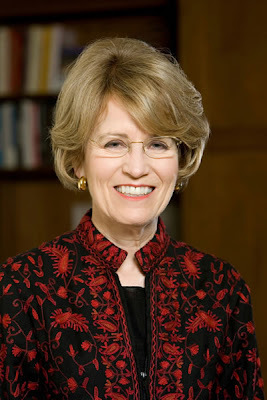 This has nothing to do with Michigan's football team - I hope Ryan Mallett fails at football. I have never liked his cocky attitude, and I don't want to see players like that get publicity. He transferred for good reasons. There's not a lot of proof that shows Rodriguez knows exactly what to do with statuesque quarterbacks, so I'm fine with him leaving. I just hope that he gets a taste of humble pie and starts a career as an insurance salesman at 24 or 25 years old. Drew Dileo has exactly one FBS scholarship offer. That offer came from the University of Michigan Wolverines. Dileo is a similar player to recent commit Tony Drake, so I'm not entirely confident that Michigan will hold a place for Dileo. But here's what I can gather about him. Projection: Dileo looks to be a low to mid 3-star player. He's a standout at a small school against weaker competition, but I question his ability to be fast enough or elusive enough to be a major contributor at the next level. Michigan is recruiting him as a slot receiver, but he could play running back; however, he will probably make his biggest impact in the return game. Apparently, the world went haywire when Toney Clemons decided to transfer from Michigan a couple days ago, because his name was quickly replaced by that of Tony Drake, a rodent-sized slot receiver from Skyline High School in Dallas, Texas. 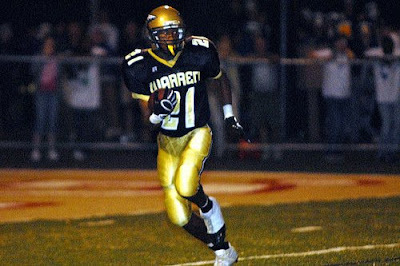 In case the name of that high school sounds familiar, that's because Michigan targeted current Minnesota Gopher Keanon Cooper for the class of 2008. Drake is listed at 5'9", 170 lbs., which means he's probably 5'8" and 155 lbs. He plays slot receiver for his high school team, in an offense that closely resembles Rich Rodriguez's spread offense. In an article with Rivals, he said that the coaches want to use him like a combination between Steve Slaton and Noel Devine. They offered him Wednesday and he committed on Thursday; this was a quick, perhaps hasty, marriage. Unlike a few former recruitments - ones that played out dramatically and didn't make sense from the get-go, like Kevin Newsome, Bryce McNeal, and Dewayne Peace - this one seems logical. Despite the distance from Texas, Drake seems like a perfect fit for the offense. Skyline is a giant high school, educating somewhere in the neighborhood of 5,000 students. Their team finished the 2008 season with a record of 12-2 and ranked 22nd in the state of Texas and 164th in the country. On a high school team with several FBS prospects/commitments - Keanon Cooper, Spencer Reeves, Mike Davis, James White, and others - over the past couple years, Drake earned playing time as a freshman. As a sophomore, he gained 605 yards from scrimmage and averaged 10.5 yards per touch. I have been unable to find junior year stats for Drake, but his film is very impressive. He has excellent acceleration, and what's most impressive to me is his ability and patience in the area of setting up and following his blocks. As a slot receiver in that offense, he sometimes takes the equivalent of a jet sweep handoff, but once he gets going upfield, most of his movements continue to take him in that direction; he doesn't move laterally as much as many small backs do, so he's going to gain some yards after contact. The biggest knock on Drake might be his top-end speed. You can see several occasions on film where he accelerates faster than everyone else on the field...and then starts to lose ground to defenders, and not necessarily just the fastest defender on the field. By the time he gets on the field at Michigan, though, he'll have plenty of time to work on his speed. Hopefully it's a weakness that he's willing and able to strengthen. Drake reminds me of Martavious Odoms in many ways. Despite the lack of dreadlocks, Drake's field awareness and balance make the two similar. I'm usually not overly excited about players whose only offer comes from Michigan before they commit, but for some odd reason, the three guys I'm most excited about are Antonio Kinard and Tony Drake (who only have offers from Michigan) and Devin Gardner. Tate Forcier broke Nick Sheridan's leg. 2. improve his chances of winning the starting QB job. Broken femurs usually involve loud cracking noises, lots of screaming, and a wheelchair with a mattress on it. Starting quarterbacks usually are medically cleared to play football. And #3 is just a guess, really. It's unclear how serious Sheridan's injury is. A sprain or a break will likely not affect his medical clearance for football season. It will probably prevent him from participating in much of spring practice, perhaps even the duration of the spring session. I wouldn't venture as far as to say that Tate Forcier is happy about this turn of events, but certainly things couldn't have gone any better for him earning the starting QB nod for the fall. He enrolled early. Last year's starter, Steven Threet, is transferring. Last year's other starter, Sheridan, is now hobbled. 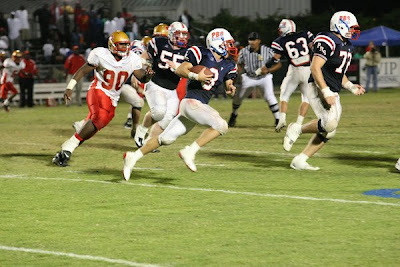 And his fellow Class of 2009 quarterback is finishing up high school in Florida. Rich Rodriguez clearly shies away from quarterback stability, as every Michigan quarterback now seems to run away or suffer from Bill Blass disease. Meanwhile, Justin Feagin keeps getting sucked into the black hole that is the Michigan quarterback position. The coaches keep telling him to play slot and he keeps practicing at slot, but he keeps looking closer and closer to playing quarterback. Toney Clemons is officially transferring. He mentions Pitt as a possible destination, but he hasn't decided yet where he'll go. According to reports from spring practice, it looks like the roster will be shaken up some. Rumors are swirling that junior wide receiver Toney Clemons will no longer be playing for the Wolverines. This has been a rumor for a while, but he has been absent from practices, so the writing appears to be on the wall. Redshirt freshman Patrick Omameh is running with the first team offensive line, and it looks like the odd man out could be redshirt junior John Ferrara. Redshirt junior Steve Schilling has moved to left guard to take Ferrara's spot, and Omameh has been plugged in at right tackle. The rest of the offensive line will likely remain the same. Sophomore Justin Feagin, redshirt freshman Terrence Robinson, and senior Carlos Brown have all been practicing throwing the ball. None of them is being looked at as a possible quarterback; they are simply in the mix for occasional direct snaps. The competition at running back seems to be working wonders. Reports are that all the available running backs (Michael Shaw is injured) look good and are running the ball well, and that includes true freshman Vincent Smith. Sophomore J.B. Fitzgerald is battling Kenny Demens for the open linebacker job, but it looks like Fitzgerald has a leg up in that fight. The other linebacker who earned a starting nod last year, Marell Evans, is playing the hybrid DE/OLB position, along with Brandon Herron, Steve Watson, and Anthony Lalota. The coaches are giving redshirt freshman Brandon Smith every opportunity to win the starting strong safety job. It looks like redshirt sophomore Michael Williams will be the starter at free safety. It's yet to be determined what role senior Steve Brown will play, but it looks like his role will change. He'll be playing closer to the line of scrimmage if Smith can prove himself worthy of the starting job. This quite possibly means nothing, but one picture I saw showed Kevin Grady as the long snapper. I know very little about basketball, so this blog centers mostly around my favorite sport instead. 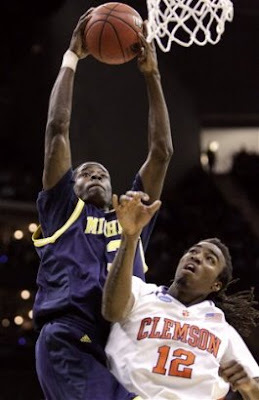 But congratulations to the Michigan basketball team for making the NCAA Tourney and beating Clemson last night. I've never been more excited - or less able - to watch a basketball game. I was stuck at work for the first 30 minutes of play, and CBS wasn't airing the game in my area when I got home. So I was stuck watching the ticker as Clemson pecked away at Michigan's lead. They play Oklahoma tomorrow at 5:50 p.m. I picked the Wolverines to lose to the Sooners in the second round, but I'll be happier if I'm wrong. Curiously, Devin Gardner told everyone that he was committing to Michigan but thinks he hasn't. He has stated that he wants to wait until his basketball playoffs are done before he holds any interviews. But he's committed to Michigan. Except not really. It doesn't count until he says it to a camera. I guess. Really, I have no idea. But he's good at playing football, so yay. Projection: Gardner will be a very good BCS-level player in any offensive system. If his college coaches choose to do so, his poor mechanics are fixable. The award was chosen by me. Former Wolverine/Giant/Eagle/current Bengal Dhani Jones has a new show on the Travel Channel. It's called Dhani Jones Tackles the World and it involves him traveling around the world to research, see, and partake in different sports. Now watch him kick an Asian guy's mittens really hard. Spring practice started on Saturday, and reports from that practice indicate that all hell has broken loose on the defensive side of the ball. Players are moving all over the place in Greg Robinson's defense. Some of these moves are immediately good. Some are head-scratchers. One big rumor is that Steve Brown is moving to linebacker. He's still listed as a safety on the roster, but he's bulked up to 215 pounds (he's been around 205 in previous years). He's supposedly working out at SAM linebacker. Although he's a bit undersized for a SAM, he's good in run support, a good blitzer, and would probably be better in pass coverage than most linebackers. Since he hasn't been a very good safety, I would put this move in the "good" category, if it's true. Anthony Lalota was seen working with the linebackers. As pointed out a couple days ago, Lalota is apparently 6'4" and 235 lbs. instead of 6'6", 260, so his size doesn't necessarily preclude him from being a linebacker. But considering the Wolverines' serious lack of depth on the defensive line, my guess is that Lalota might be working out to play the "spinner" (Robinson's hybrid DE/OLB position) or they might want him to continue working on his agility in open space, since that's one of his weaknesses coming out of high school. Also, Vince Helmuth is now a defensive tackle and there's photographic evidence to support Rodriguez's claim that he's a little heavy. Antonio Kinard, a 6'4", 210 lb. linebacker from Liberty High School in Youngstown, Ohio, has committed to Michigan. Soon-to-be freshmen Isaiah Bell and Fitzgerald Toussaint were his teammates at Liberty. At this point, Kinard is relatively unknown. He's unrated by the recruiting services, and the only offer he's reported was Michigan's. With his size and athleticism, though, I expect he'll be a 3-star originally with a mid-4-star ceiling as the recruiting cycle goes along. Kinard's size suggests that he'll either be a strongisde linebacker or a defensive end in college. He has good speed and sheds blocks pretty well. Playing linebacker in high school, he has the athleticism to drop back into coverage. His ball skills bode well for playing linebacker in college. He finished the 2008 season with 86 tackles, including 6 sacks. However, he has the frame to eventually carry 245 pounds or so. On film he looks every bit of 6'4" and he might not be done growing. It's rare for college linebackers to be 6'4" or taller. My guess is that he'll be a weakside defensive end by the end of his career at Michigan. He doesn't have the instincts to succeed at linebacker. He's a little tentative when filling the hole and takes bad angles when chasing ballcarriers; this works in high school because of his superior skills, but if his fundamentals don't improve, he'll get burned by college players who are talented in their own right. Kinard's height, build, and speed remind me of Shawn Crable. I'd rank Kinard's skills slightly behind Crable's in high school, but there's plenty of room for growth. I think Kinard will eventually be a defensive starter, but perhaps not until he's in his third year or so. His body and his fundamentals need a few years to develop. D.J. Williamson, a wide receiver from Harding High School in Warren, Ohio, committed to Michigan on Friday morning. He had been saying for a while that there was a good chance he'd commit at Junior Day. He wasn't lying. Williamson isn't ranked by Scout or in the Rivals 250, so it's unclear exactly where he fits by their evaluations. It's hard to believe that a kid who's 6'1", 172 lbs., and very fast will be anything less than a 3-star. Then again, it's hard to believe that a kid who only had 30 catches for 365 yards and 3 TD's will be more than a 3-star. So I'm guessing he'll be a 3-star recruit, at least until his senior season starts. Harding High School produces a lot of quality talent, including former Wolverines Carl Diggs, Prescott Burgess, and Mario Manningham. Williamson grew up a Michigan fan and should stick with his commitment through thick and thin. If he reminds me of any Michigan player from the last decade, it would be Carl Tabb. He has good straight-line speed but isn't very elusive. He has the speed to play slot receiver and the size to play outside receiver; he could also play cornerback, so he offers some flexibility. He will most likely be a mid-level recruit. I don't expect him to ever be a star, but he could be a serviceable player at Michigan. This gives Michigan four wide receivers in the class of 2010. With only two wide receivers graduating this coming year (Greg Mathews and Laterryal Savoy), Rodriguez is doing more than replenishing the position. He's trying to stockpile skill position players. On top of that, two of these receivers - Williamson and Jerald Robinson - have the ability to play in the defensive backfield. I don't expect all four of these receivers to remain at that position for their entire careers, and I would not be surprised to see one of these guys either decommit or be informed that he'll be playing defense instead. This is the beginning of a series of scouting reports on Michigan targets that will continue throughout the recruiting cycle. The first scouting report will be on Austin White. It has been rumored that he committed to Michigan on Junior Day, but that is unsubstantiated and will be treated as such. That being said, if he does in fact commit, this scouting report will hopefully be informative. Projection: White will be a solid but unspectacular back in a BCS-level program. Michigan's "Night of Champions" is going on right now, in which Michigan football players compete in various weightlifting events. These are some of the players who should be there, although it's unclear exactly who made it. Mgoblue.com released the spring football roster today. Most of the players seem to be pretty svelte, but there are a few interesting weights and position tidbits. J.T. Floyd is listed as a cornerback. This seems to be his position for the foreseeable future. Anthony Lalota was listed at 6'6", 260 lbs. on his Rivals recruiting page. The roster lists him at 6'4", 235 lbs. This is a considerable difference. Considering Lalota's raw skills, his size was one of the things working for him. Now it's apparent that he's smaller than some of our linebackers, and I think a redshirt is even more likely than I thought before. Greg Banks is 275 pounds. That's the heaviest he's been in his career. Perhaps he's bulking up to play strongside defensive end. As reported earlier in the week, Steve Watson is listed as a defensive end. He's now up to 251 lbs. Former fullback Vince Helmuth has ballooned to 299 lbs. He's now a DT on a team that only has four defensive tackles listed on the depth chart, so it's very likely that he'll see the field this coming fall. Both Kenny Demens (6'1") and Marell Evans (6'3") are 237 lbs. It's been reported that Demens might be able to play MIKE. If he becomes a viable option at MIKE, that allows a little more flexibility amongst the linebackers. It might allow Obi Ezeh to move from MIKE to SAM and let J.B. Fitzgerald find his best fit as well. Last year's starting offensive line averages 289 lbs. Mike Cox (6'0", 215) is virtually the same size as Brandon Minor (6'1", 216), so there's a big back on the roster to take over once Minor and Kevin Grady (5'9", 226) leave. Vincent Smith is 5'6" and 158 lbs. He will almost certainly redshirt. Brandon Smith is listed at 6'3", 211 lbs. If he's able to keep his weight/musculature in check, he should be able to remain at safety. Mike Jones is listed at 6'2", 202 lbs. as a safety. He's been doing drills with the linebackers and probably will end up there eventually. Both Brandon Herron (222 lbs.) and Marell Evans (237) began their careers around that size, so it's obviously possible for him to get to linebacker size. Brandin Hawthorne is 195 right now. Junior Hemingway is 6'1" and 226 lbs. That's very large for a wide receiver. Reports on Scout and Rivals have stated that Devin Gardner will announce his commitment on this coming Monday. The overwhelming sentiment on these sites and other message boards is that Gardner will be a Wolverine. UPDATE: Ah, the fickle minds of youth. According to Rivals.com, Gardner will not hold a press conference on Monday to announce his decision, but he will decide on Saturday. Since he is scheduled to attend Michigan's spring practice on that day, that bodes well for the Wolverines. With Greg Robinson as Michigan's new defensive coordinator, the Wolverines will probably be running a hybrid 4-3 defense in 2009. Robinson's employment of the 4-3 often involves a stand-up defensive end/outside linebacker. Unfortunately for Michigan, the Wolverines don't have an established player who is an ideal fit at that defensive end position. Shawn Crable would be an example of a player who could play the position well, but he's entering his second year in the NFL. Incoming freshman Craig Roh was told by Robinson that the coaches wanted him to be used as that DE/OLB, but he'll be new to the college game and might need some extra time to adjust. Three Michigan players have been identified by the staff as potential contenders: linebackers Marell Evans and Brandon Herron, as well as converted tight end Steve Watson. The Evans idea makes some sense. He was a star in spring 2008 practices but vacated his starting outside linebacker job early in the season to John Thompson. At 6'3" and 231 lbs., he has the size and the speed to be a decent contributor. He'll probably need some size and strength to hold up against the run, but he has an entire offseason to bulk up a bit. Brandon Herron also seems to fit. He's slightly smaller than Evans at 6'2" and 218 lbs. He played some on special teams as a redshirt freshman in 2008, but never garnered much attention as a full-time linebacker. Herron is only a redshirt sophomore, but he perhaps seems destined for a career on the bench. The Steve Watson position switch is the most intriguing. As the #15 (Rivals) or #19 (Scout) tight end in the class of 2007, he was supposed to battle for the tight end position after Carson Butler left. But with class of 2008 tight end Kevin Koger apparently outplaying everyone on the roster - causing Butler to move to defensive end - that position seems to be filled for the foreseeable future. While Koger, Martell Webb, and Brandon Moore compete for playing time at tight end, it seems Watson has decided to try his hand at defense. The problem? Watson barely even played defense in high school. At J.K. Mullen High School in Denver, Colorado, he accumulated a total of 15 tackles and 3 sacks in his career. He does not seem to be possess a great chance of contributing on defense, but I admire his willingness to give up his most familiar position to compete elsewhere. At 6'4" and 242 lbs., he has the size but probably lacks the instincts and technique to be successful. The good news is that he'll only be a redshirt sophomore in 2009, which means he has a couple years to hone his skills. He might contribute down the line, but I expect that Evans or Roh will develop a stranglehold on the position before Watson can adjust. Brandon Herron - RS So. Steve Watson - RS So. 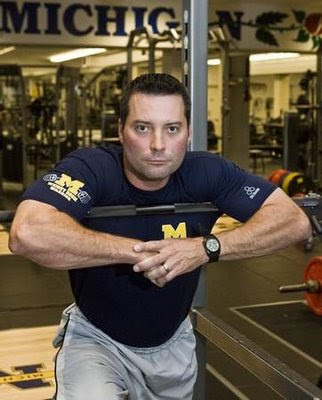 Almost more so than the hiring of Rich Rodriguez in December 2007, the arrival of West Virginia's strength and conditioning coach, Mike Barwis, excited Michigan football fanatics. Rumors abounded that Barwis was an ex-cage fighter, owned pet wolves, and drank battery acid protein drinks. The speed of West Virginia's football team and the success of its undersized offensive line had the Michigan faithful believing that Barwis could turn middling recruits into supermen and good recruits into gods and really good recruits into Barry Sanders. 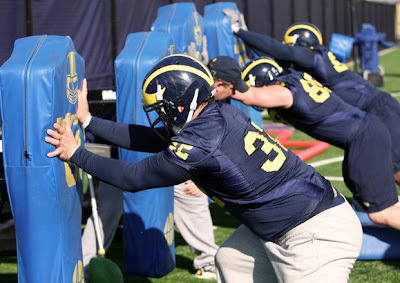 While Michigan looked faster on the field in 2008, Barwis's program obviously didn't translate into victories. And to be fair, experts say that it takes a full year for a new program to really take effect. So while Brandon Minor and Greg Mathews, in particular, seemed to gain a step in 2008, the coming season is perhaps when we will see the results of Barwis's newfangled approach to strength and conditioning. 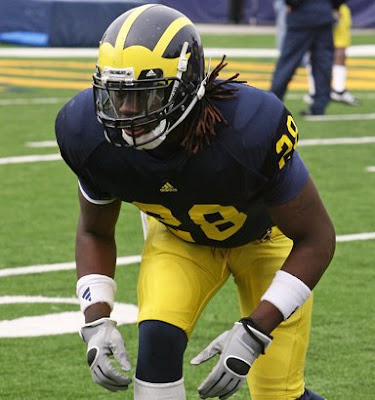 So with the 2009 NFL Combine wrapping up last week, I thought I'd take a look at Michigan's invitees and see if Barwis deserves the hype. As a high schooler, Taylor reportedly ran a 4.85 forty-yard dash as a 6', 285 lb. defensive tackle. Considering that many high school times are inflated, let's add one-tenth of a second to that time and call it a 4.95. At 6' and 306 lbs. this past weekend, Taylor ran a 5.24 forty-yard dash. Taylor supposedly benched 185 lbs. a total of 32 times coming out of high school, a max factor of 381 lbs. This weekend Taylor put up 225 lbs. a total of 37 times (max factor: 500), second in the Combine only to Louis Vazquez from Texas Tech. As a high schooler, Jamison's profile suggests he ran a 4.7 forty-yard dash as a 6'3", 240 lb. defensive end. He checked in at the combine as a 6'3", 256 lb. defensive end - and ran a 5.09 forty-yard dash. Even adding the obligatory +.1 to his high school forty time, he apparently got .29 seconds slower as a sprinter in his time at Michigan. Trent is more difficult to judge. In high school he supposedly ran a 4.4 forty-yard dash, which doesn't seem infeasible, considering he holds the Michigan state record in the indoor sixty-yard dash and the indoor 200-meter dash. Reports out of Indianapolis have him running anywhere between a 4.42 and a 4.53 at the Combine, so he probably didn't get any slower - but he probably didn't get much faster, either. Speed seems to be a wash with Trent. He did, however, bench 225 lbs. twenty-three times at the Combine, which tied him for fourth amongst cornerbacks and seventh of all defensive backs. 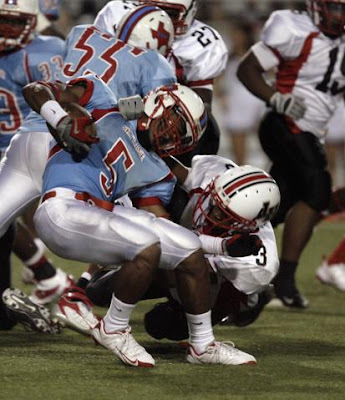 At 6'1" and 193 lbs., Trent's weight didn't fluctuate much since Barwis's arrival, although he did seem sturdier and made some excellent hits in the 2008 season. Griffin's numbers at the Combine probably affect him less than the other three. He checked in at 6'2" and 242 lbs. As an excellent college long snapper, his snaps aren't the issue. The biggest question about Griffin will be his strength and speed for getting down the field and making tackles. Long snappers are often the first ones off the line to release and start covering punts downfield. Griffin turned in a 5.14 forty yard dash at the Combine, which is not a particularly good number for someone who weighs just over 240, whether he's a long snapper or not. It's somewhat curious that Griffin even got invited to the Combine, considering that he never played a down at any other position. The stories about Barwis improving strength seem to hold some truth. Morgan Trent and Terrance Taylor both did very well in the bench press. Regarding speed, Trent's 4.53 forty time was somewhat disappointing, considering he has generally been considered one of the two or three fastest guys on the team. However, he did better than expected in the agility drills, so perhaps he's faster than a 4.53 and that was just an aberration. These players - in addition to safeties Brandon Harrison and Charles Stewart, linebacker John Thompson, defensive tackle Will Johnson, and tight ends Mike Massey and Carson Butler - will have a chance to improve these numbers at Michigan's Pro Day on March 13.